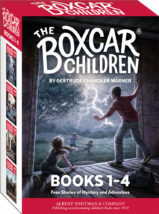 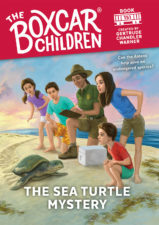 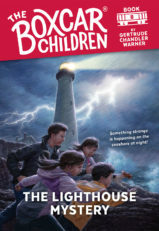 This ultimate Boxcar Children collection includes the original 19 titles, written by Gertrude Chandler Warner, that launched the international bestselling series. 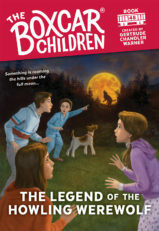 Now up to more than 145 adventures, the series follows Henry, Jessie, Violet, and Benny Alden as they investigate a variety of mysterious circumstances and reach out to lend a helping hand wherever possible! 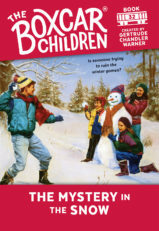 This 20-book set includes the paperback editions of books 1 through 19, an exclusive consumable activity book with quizzes, puzzles, crafts, and games, a real magnifying glass, and a sticker sheet. 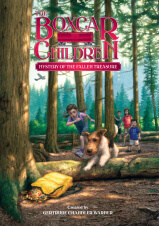 Packaged in a deluxe keepsake case with magnetic door closures and a drawer for storing top secret clues and notes, this bookshelf can hold more than 50 Boxcar Children Mysteries. 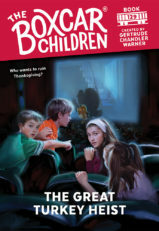 An essential starter set for new-to-chapter-book readers or the perfect gift for nostalgic superfans, this deluxe group of titles is sure to provide entertainment and delight for years to come.